Sara is originally from Boston, MA and recently moved to Charleston to trade in long northern winters for sunshine and beaches. She received her Bachelors in Science in 2015 and Masters of Occupational Therapy at Quinnipiac University in 2017. She is certified by NBCOT and licensed by the state of South Carolina. In addition, she is certified in Beckman Oral Motor. While in graduate school, she spent time working with kids in the public school system, a pediatric outpatient clinic, and an aquatics program. Though she enjoyed all her training in a variety of clinical settings, she determined that she possesses the most passion towards the pediatric population. 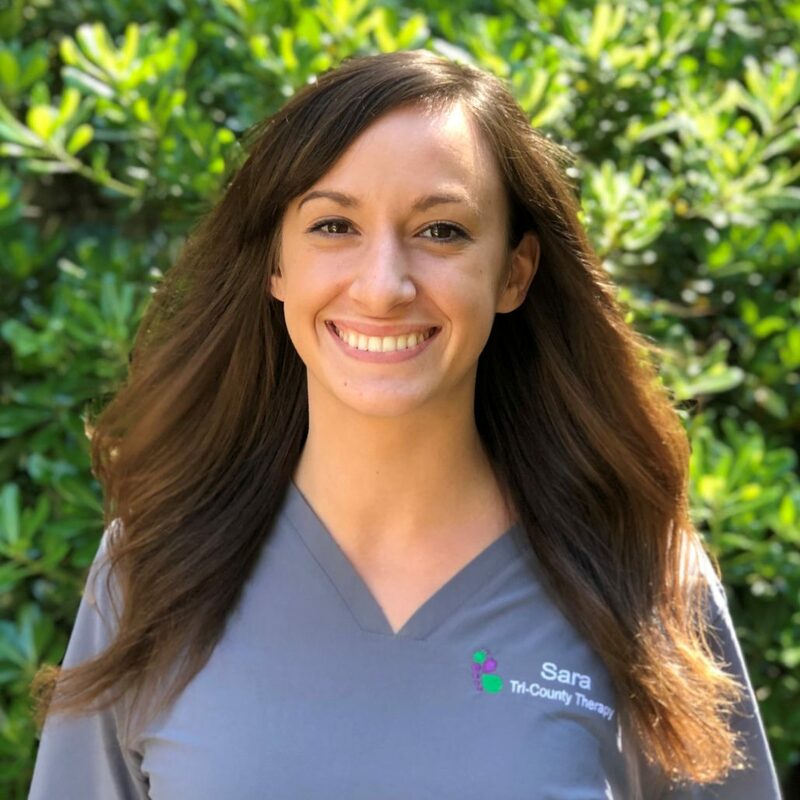 She has plans to continually pursue continuing education to further her career development as a pediatric therapist and dedicate her future to child development. Sara has special interests in neurological disabilities & sensory processing difficulties. In her free time Sara enjoys running, swimming, hiking, and exploring the beautiful beaches of South Carolina.